Human multitasking is an apparent human ability to perform more than one task, or activity, over a short period (1 hour). An example of multitasking is talking to a friend while typing a text message and reading an email. Multitasking can result in time wasted due to human context switching and apparently causing more errors due to insufficient attention. However, if one is proficient at one of the tasks at hand, then it is possible to do these tasks. There is a discrepancy between lay and scientific definitions of multi-tasking. Drawing from recent studies, we define multi-tasking as the ability to complete multiple tasks in a short time span and consciously switch from one task to another. 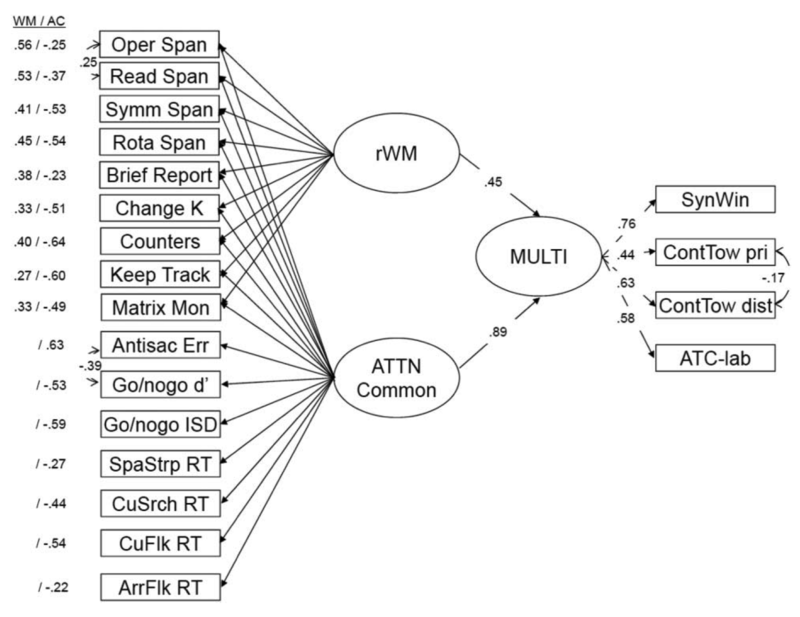 Modeling of psychological domains shows that working memory and attention are the best predictors of performance of multitasking ability (Figure 1).1Furthermore, working memory, attention, and multitasking ability, all naturally vary from individual-to-individual. So the broad question remains, is multi-tasking better than single-tasking? For >97% of individuals, the addition of multiple tasks to complete simultaneously, results in dramatically worse performance on each task, particularly if one is untrained in that specific set of tasks. However, as repeated processes can be improved with training, it may be beneficial to multi-task in certain contexts. There is a lot of debate as to whether multi-tasking in any capacity is good. Some believe it is detrimental, however, for certain professions multitasking is a necessity (e.g. emergency medicine doctor, air traffic controller). 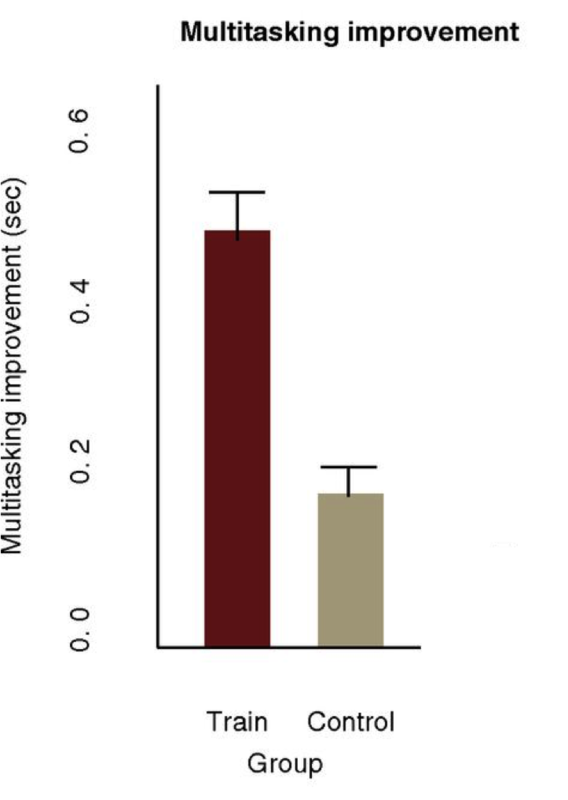 Research suggests that multi-tasking performance is driven largely by attentional control and attentional capacity and that multitasking (at least for specific tasks) can be improved with training. We recommend being surgical with tasks that you chose to multi-task: select parallel tasks that you will perform often, and where multi-tasking will be much more beneficial than serial completion of those tasks. Making multi-tasking part of your routine, and being mindful of improvements in your ability with repeated training, can maximize your time and energy.